Introducing the “VRM” Super XI Vertical Rear Maintenance Wood Hog from Rawlings Manufacturing Inc. No cookie cutter machine can meet everyone’s space constraints or challenges. We have had several customers over the years that wanted a Rawlings solid rotary hog but did not have the overhead clearance in their existing footprint to allow for a clam shell opening type of machine. 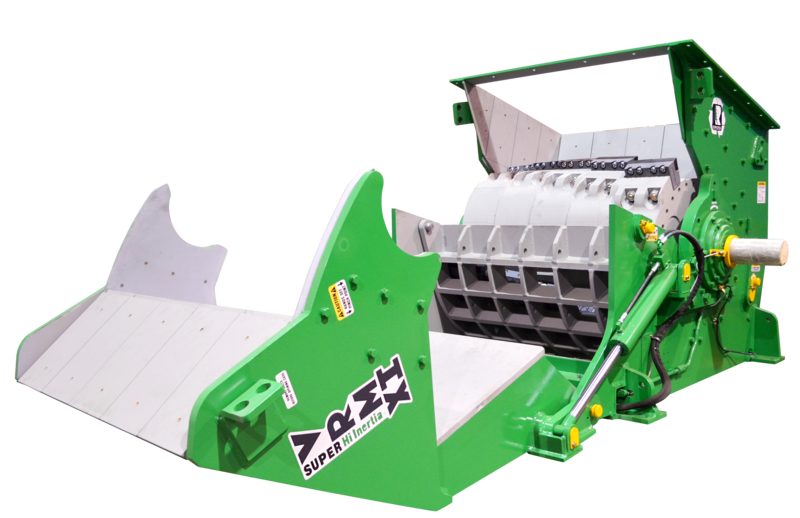 The VRM hog opens hydraulically from the rear of the machine allowing full access to the hog’s internal wear components and rotor for ease of maintenance. All Rawlings Hogs are equipped with our Patented Super Hi-Inertia Rotor that powers through feed surges with ease while still running at lower RPMs than all other machines on the market. This saves our customers both maintenance and electricity costs.